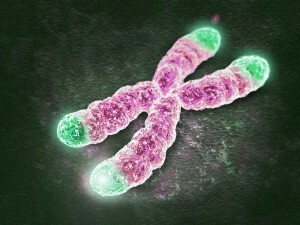 Changes in chromosomes years before cancer diagnosis could yield biomarker to predict cancer. A distinct pattern in the changing length of blood telomeres, the protective end caps on our DNA strands, can predict cancer many years before actual diagnosis, according to a new study from Northwestern Medicine in collaboration with Harvard University. 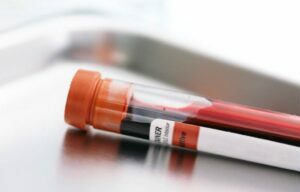 The pattern – a rapid shortening followed by a stabilisation three or four years before cancer is diagnosed – could ultimately yield a new biomarker to predict cancer development with a blood test. This is the first reported trajectory of telomere changes over the years in people developing cancer. Scientists have been trying to understand how blood cell telomeres, considered a marker of biological age, are affected in people who are developing cancer. But the results have been inconsistent: some studies find they are shorter, some longer and some show no correlation at all. The paper was published April 30 in EBioMedicine, a new a new journal from Elsevier in collaboration with The Lancet and Cell Press. The Northwestern and Harvard study shows why previous results were confusing. In the new study, scientists took multiple measurements of telomeres over a 13-year period in 792 persons, 135 of whom were eventually diagnosed with different types of cancer, including prostate, skin, lung, leukemia and others. Initially, scientists discovered telomeres aged much faster (indicated by a more rapid loss of length) in individuals who were developing but not yet diagnosed with cancer. Telomeres in persons developing cancer looked as much as 15 years chronologically older than those of people who were not developing the disease. But then scientists found the accelerated aging process stopped three to four years before the cancer diagnosis. The Northwestern and Harvard study is believed to be the first to look at telomere length at more than one time point before diagnosis. That’s significant because cancer treatment can shorten telomeres. Post treatment, it’s uncertain whether their length has been affected by the cancer or the treatment. Telomeres shorten every time a cell divides. The older you are, the more times each cell in your body has divided and the shorter your telomeres. Because cancer cells divide and grow rapidly, scientists would expect the cell would get so short it would self-destruct. But that’s not what happens, scientists discovered. Somehow, cancer finds a way to halt that process. If scientists can identify how cancer hijacks the cell, Hou said, perhaps treatments could be developed to cause cancer cells to self-destruct without harming healthy cells.